You can find more information about coaching here. Don't hesitate to contact your Local Chapter Leader or a Board Member for more information. The International Coach Federation is delighted to be part of the GCMA (Global Coaching and Mentoring Alliance), formed in November, 2012, to work alongside other global coaching & mentoring bodies, to provide a shared view of the practice of professional coaching. Learn more about the Global Coaching Mentoring Alliance (GCMA) here. What can I expect from a coach? Here you can find the Core Competencies of a coach. As indicated on the hompage "Coaching is partnering with clients in a thought-provoking and creative process that inspires them to maximize their personal and professional potential." What can't I expect from a coach? A coach is not a consultant, nor a mentor, neither a counsellor. Even if some coaches also specialise in these disciplines. For more information about the main differences, check out “How is coaching distinct from other service professions?” on ICF Global website. What can I expect from my investment? The results of investing in yourself can be literally mind-blowing. They will depend largely on how much time and energy you want to invest, how willing you are into changing for the better and the relationship with your coach. Have a look at our Success story section! You can also check out the "Benefits of Using a Coach" on the global website. You can find a list of all the coaches based in Switzerland in our Find a Coach section equipped with a search function. How can I choose a coach? Talking with more than one coach is a good starting point. We suggest that you select different coaches in your area of interest and you have separate interview with all of them. The more you feel personally and professionally in line with your coach, the more positive impact this can have on the results. Also, consider that a relationship with a coach is built on trust, mutual respect and transparency. So don’t be afraid of asking questions and inform your coach about what does/doesn’t work for you. Check out “How do you ensure a compatible partnership?” on ICF Global website or see our Hire a Coach - Tips page. I am considering to enrol in a coaching training. Is it the right choice for me? The first question to ask yourself is what you want to do with a coaching certification. We suggest that you answer this question clearly before enrolling in a training. 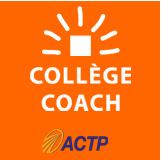 Go to the page "Sould I become a coach?" and don't hesitate to contact your Chapter Leader or a Board Member to discuss about it. 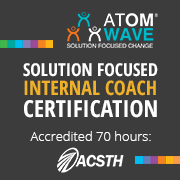 After having completed an Accredited Coaching Training Program (ACTP) or followed the porfolio path, sent the log of your coaching hours to ICF and passed the Coach Knowledge Assessment (CKA), you will receive your Credentialed Coach Accreditation. For more details you can have a look at our Training and Certification section. How much does a coaching training cost? ICF does not provide coach-specific training and as the accrediting body, we cannot recommend any specific training programs. However, some training organisations are affiliated with the ICF and offer accredited Coach Training Programs. Our main recommendation is to take enough time to evaluate training organisations and assess the costs in relation with your budget and target. That is considered as a part of your development towards becoming a professional coach. How to choose a coaching training and what are the differences between trainings? The offer in terms of coaching training is wide. We suggest you to list some elements that are really important for you first. Your final choice will depend also on your general project about coaching, if you prefer to have a corporate orientation or a life coach one, what kind of clients you would like to coach, your own values and so on. We suggest you to have some interviews with different accredited program directors to choose the one that is more aligned with your values and goals. How much time and energy investment is needed in order to become a professional coach? Becoming a coach is a serious investment in terms of time spent in studying, practising and mastering the technique. Consider a minimum of two years of practice and hundreds of coaching hours to reach this level. Don't hesitate to contact your Chapter Leader or a Board Member to discuss about it. What’s the difference between an online training and an in-person training? The online training will happen mainly online, via teleclasses and, depending on the school program, it will also include some lessons in-presence. The in-person training will be mainly delivered in a group settings, most often in blocks of 2-3 days during the week-end. Since the training is intense and it can be emotionally tiring, it’s good to consider at least one day of break before getting back to work. What happens after the certification? It depends on your projects and what led you into becoming a certified coach. You can consider the certification as the beginning of your path. After that, it’s time to gather more experience and potentially focus on one specific area. What are the domains you are interested in? In which area do you want to become an expert? Do you see yourself as an internal coach or do you plan to start your own business as a coach? Where can I find former students or testimonials? Some schools can put you in touch with alumni who will most probably convince you that the program they chose is the best one (they only know this one and are hopefully very satisfied with it!). If you want to spontaneously get in touch with former students, you can post a message in our LinkedIn group or Facebook page. How can I get in touch with other coaches? If you want to connect with other coaches, consider joining the ICF events organised by the local chapters and our online community on LinkedIn or Facebook. You can also get in touch with ICF accredited coaches from your region by using the Find a Coach section. You can check our Events section and register on the event page - everyone is welcome! What are the benefits of becoming an ICF Switzerland member? Please have a look at the "Why" page. You can find all information on our "How" page. How can I renew my ICF Switzerland membership? Once you are an ICF member, you will automatically receive an annual e-mail with the link to renew your global and local (Swiss) membership. Our newsletter will also provide you with the right information. You can also have a look at the "Renew Membership" page on ICF Global website. What can I expect from ICF Switzerland? The ICF Switzerland team is composed of Board Members, Local Chapter Leaders & their team and Ambassadors WHO ARE ALL VOLUNTEERS! You can expect passion, hard work and commitment to the flourishment of the organisation - you are also most welcome to join the team for a punctual or a regular participation! Just get in touch with your Chapter Leader or a Board Member to talk about your contribution. What can’t I expect from ICF Switzerland? Since the team is entirely made of volunteers, you can't expect (miracles or) quick answers. Should you want to improve anything, just join the team by contacting your Chapter Leader or a Board Member! How can I become an ICF Switzerland Ambassador? If you want to become an Ambassador, we ask you to help us on a volunteer basis for 6 months before submitting your application. Just get in touch with your Chapter Leader or a Board Member to share your interest in this role and get more information. You'll also find more information on our Join the ICFS Team! page. You can directly get in touch with the Board Member of your choice. How can I become a Local Chapter Leader? If you are interested in becoming a Local Chapter Leader, you can find more information on our Local Chapter page or get in touch with one of the Board Members. How can I lead a workshop within ICF? We are always glad to welcome new passionate speakers! Let yourself know by going on the "Opportunity for Workshop Leaders" page or contact your local Chapter Leader. 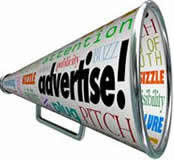 How can I advertise on the ICF Switzerland website? Please have a look at our Sponsors - Website advertising page. Please have a look at our Continuing Coach Education (CCE) internal page or directly at the CCE Program Approval page on the ICF Global website. You can also find the Global ICF's FAQs here.